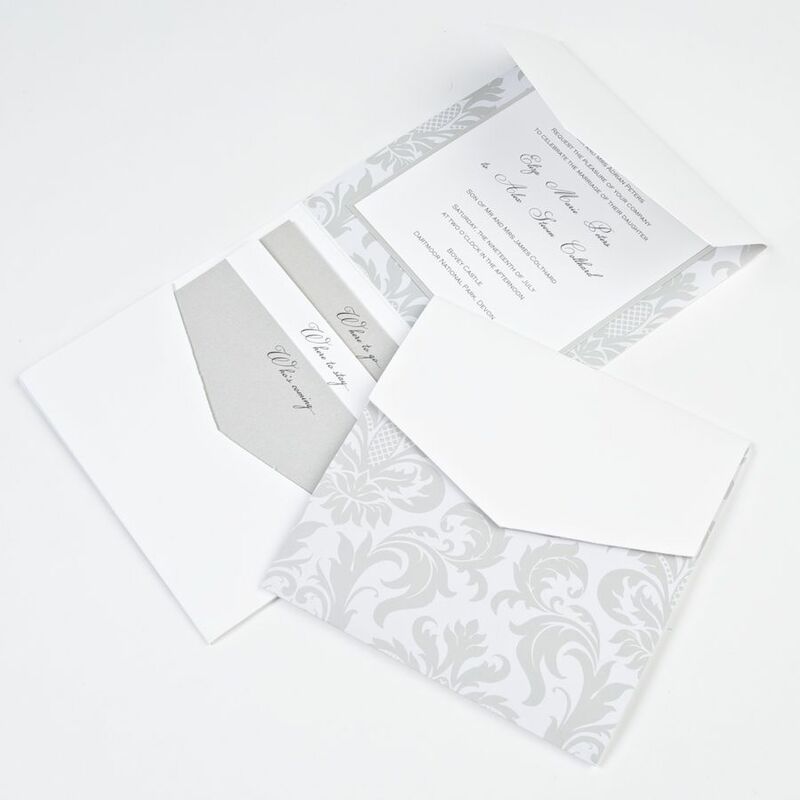 Available as both a pocketfold or a wallet this invitation is sure to WOW your guests. 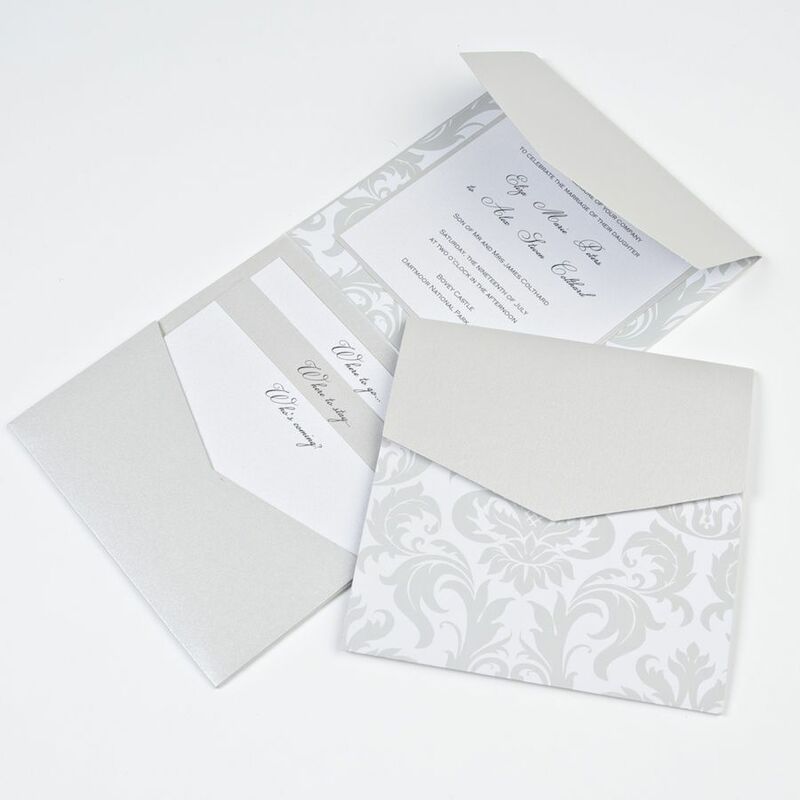 We're so thrilled with our Viva la Vintage invitations, and have had many messages from guests complimenting us on them. 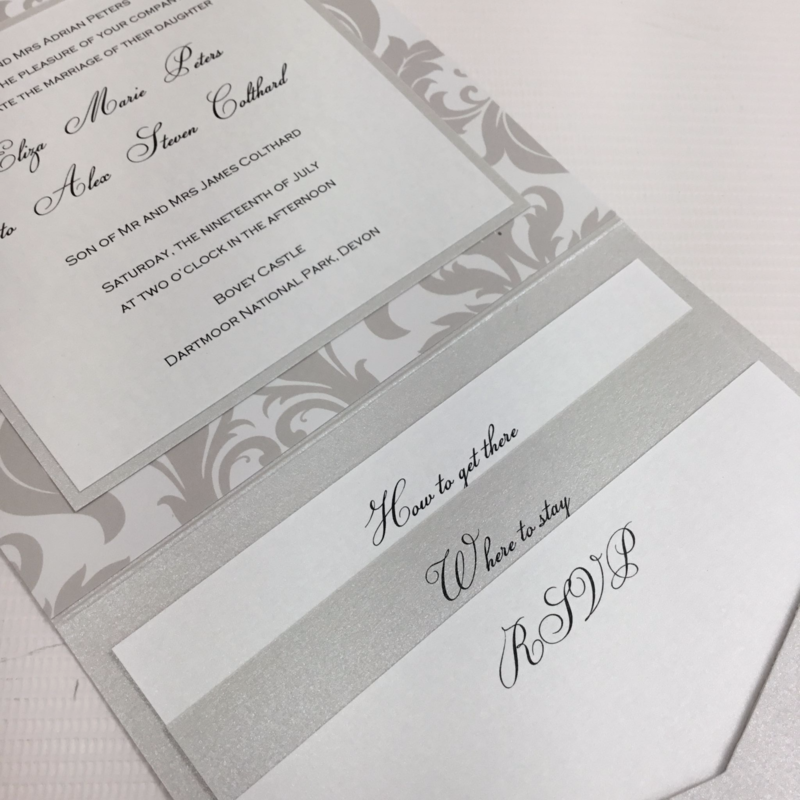 One friend said they were the most stunning invitations she'd ever seen. To match our wedding theme we had the invites made in Cadbury purple and metallic ivory, and I think the bold colours really made them. Both the daytime and evening invites looked very glamourous and stylish. We're now worried that our wedding itself won't live up to the invitations! Thank you! I just wanted to say a big Thank you to yourself and Team for the Awesome service we have recieved. 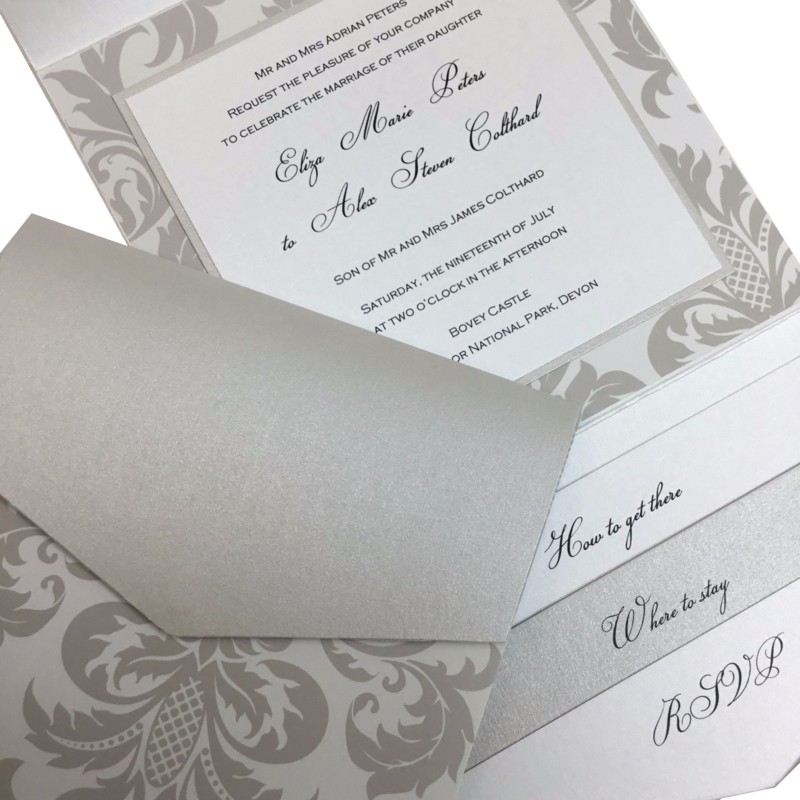 The invitations arrived as promised 1 week ago on the 16th and we have quickly got them out and have recieved some wonderful comments about the invitation. The level of service you have provided together with the quick turnaround has ensured i will reccomend you most highly to anyone i know planning a wedding or party. Firstly a MASSIVE thank you for our invites I loved them!!! With almost all RSVP''s was a note saying how tasteful and chic they were!! I''ve also had numerous phone calls complementing them, so I wanted to pass on everyones lovely comments to you WELL DONE! I''ve passed on the web details and e-mail to friends who will shortly be planning their own weddings so hopefully there some more business coming your way soon! Thank you soooo much I love them it is so professional. The best invitation, amazing thanks a lot. You made a happy bride. I will definitely recommend to my friends that are going to be getting married. Love the invites, quality products and service. Such a pleasure from start to finish. Would highly recommend. If I require invites or printing or any kind in the future, I know where to come thank you.